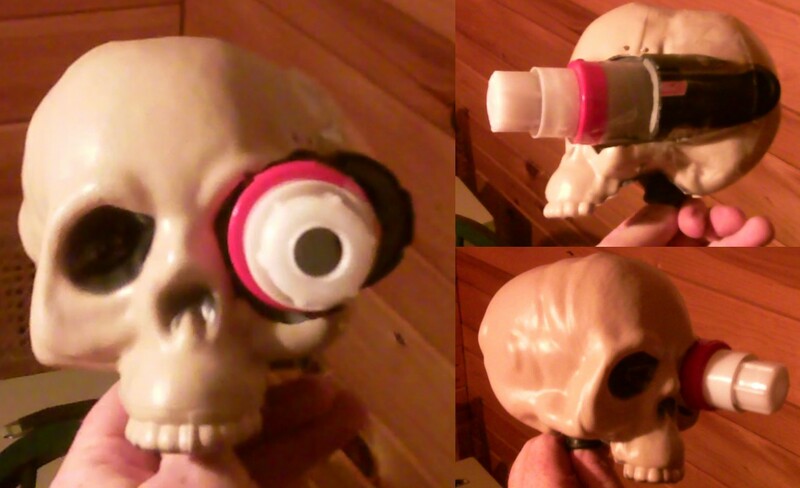 Well I decided to build a servo skull using a left over skull I had laying around. For those who don't know Servo Skulls are used by many in the warhammer universe. a bleached human skull is implanted with an antigrav unite, sensors and other implants which vary depending on the desired use, some have weapons, some have small arms, others have larger sensor suites. I was thinking about adding Some fangs to it but I'm not sure, I think I will knock out a few teeth to atleat give it a more ragged look and I think I'm gonna paint the skull white for with a bit of yellow for a bleached effect. The shaft sounds a lot sturdier. thanks, I'm planning to place some metal plates bolted to the skull, but other then that I'm not sure. Matching set of jaws sounds very tasteful. Lets everyone know that's yours, "so keeps dos greasy mitts orf".